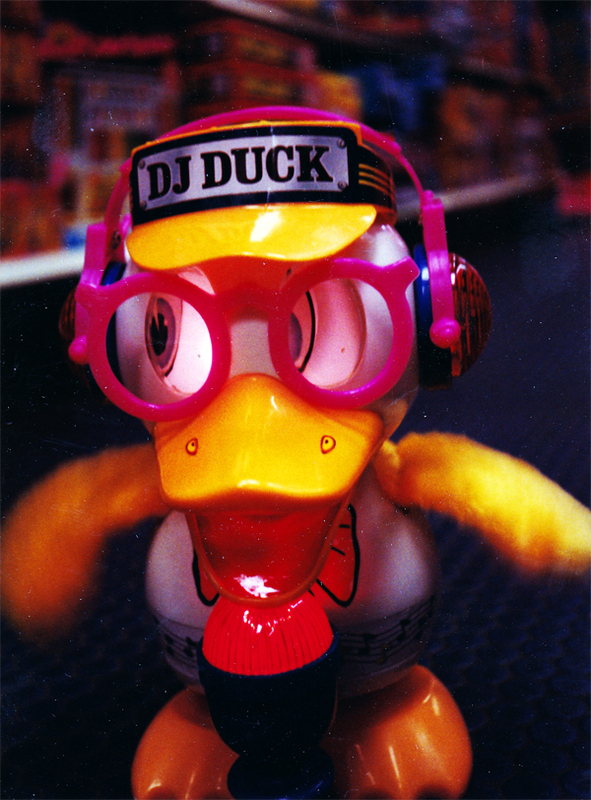 I'm pretty sure that DJ Duck was the most impressive Made In China electronics toy to hit the novelty market in the 90's. I know it's a bold statement, but I'm pretty sure it's true. By '91 the robots had become totally plastic and completely infected by the Robocop movies and T2. There's that weird ball that has the raccoon tail on it, but that thing is gross. DJ Duck might be all-plastic too, but he owns it. This is taken in a KayBee toystore in '96 with real film.